It’s a wrap! SupplySide West 2018 was an amazing gathering of more than 16,000 ingredient buyers and suppliers from the dietary supplement, beverage, functional food, personal care and sports nutrition industries. The CarnoSyn® team gained new insights and had the pleasure of sharing all the growth our brand has experienced over the past year—including the launch of the SR CarnoSyn® healthy aging & general wellness market expansion. 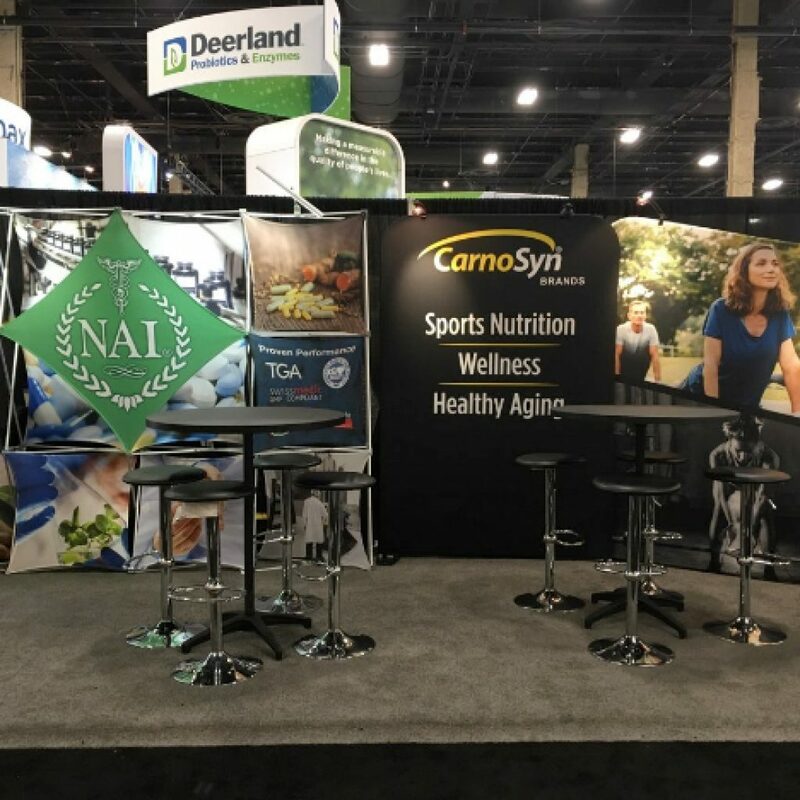 CarnoSyn® leveraged SupplySide West 2018 as a platform to introduce the market expansion initiative to key players in the general wellness and healthy aging markets to provide unique SR CarnoSyn® product offerings to the specialty food category. Spearheading this initiative is our new Vice President of CarnoSyn® Brands, Nicole Burbank, who spent the last 15 years in a range of roles in the nutraceutical and natural products industries, including Natrol, Renew Life/Clorox, Pauling Labs, Alacer Corporation/Pfizer and Nestle Waters. Nicole offers highly refined strategic vision and direction for the expansion of the CarnoSyn® Brands and we’re excited to have her on our team. CarnoSyn® Brands feature two clinically studied, patented ingredients available exclusively from Natural Alternatives International, Inc.: CarnoSyn® instant release beta-alanine and SR CarnoSyn® sustained release beta-alanine. In the sports nutrition segment, both ingredients are well known to deliver benefits for athletic performance: increased strength, enhanced endurance, faster recovery, and greater mental focus. SR CarnoSyn® is an advanced delivery form of CarnoSyn®, which delivers higher dosing levels of beta-alanine, and is proven to provide benefits for both brain health and muscle function and capacity. In 2017, SR CarnoSyn® was determined to be safe through independent scientific procedures, thus satisfying the technical element of the Generally Recognized as Safe (GRAS) determination. The GRAS affirmation allows NAI to broaden their product offerings beyond the sports nutrition space and focus on the dietary supplement and food and beverage industries, including medical and other fortified food products. We also enjoyed the opportunity to attend educational sessions focusing on the latest industry trends directly from the experts in those fields. Thank you to all those who were able to stop by our booth—every conversation allows us valuable insight into how to better serve our partners.